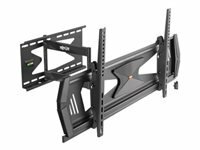 HP Quick Release is an easy to use, 100 mm VESA-compliant, LCD monitor mounting solution that allows you to quickly and securely attach a flat panel monitor to a variety of stands, brackets, arms or wall mounts. 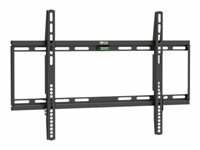 HP Quick Release can also be used for mounting any combination of devices that are compatible with the 100 mm VESA Flat Display Mounting Interface Standard. 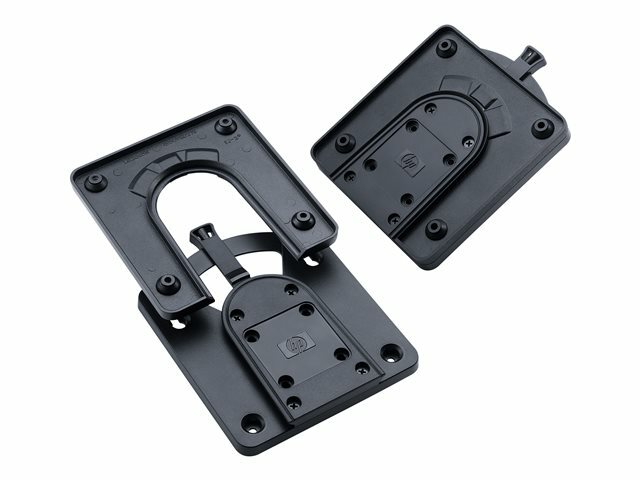 The failsafe "Sure-Lock" mechanism snaps the monitor (or mounted device) securely in place, and can be further secured with a theft-deterrent security screw.